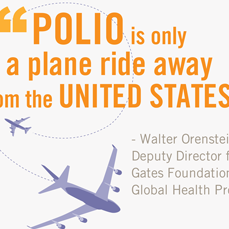 "Any of the serious infectious diseases are essentially a plane ride away." Dr. Toni Darville, chief of infectious diseases at Children's Hospital of Pittsburgh. Watch Jenny McCarthy talk about her son's autism Don't miss the vaccine flacks at the end, and the infamous 'One plane ride away' line.